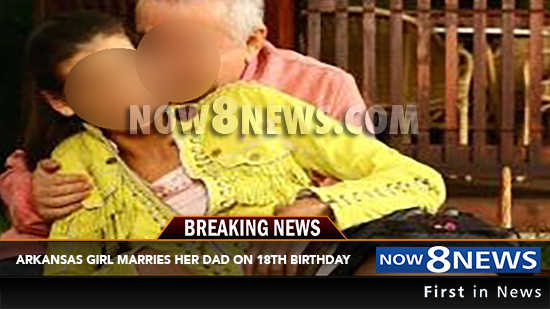 18 Year Old Girl Marries Her Father In Arkansas, "We Belong Together"
NEWS 8 – A young woman and her father united in a marital ceremony on the daughter’s 18th birthday, and they say that they knew they belong together ever since she was 12 years old. However, due to strict child molestation laws, the father says he hung on to the hope that she would still care for him in that “special way” when she turned 18. On Saturday, his wish came true. The newlyweds, who asked to remain anonymous, say there is nothing wrong with the choice they have made.